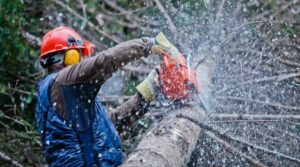 The use of a chainsaw may take some skill and strength, but overall it is a fairly simply constructed tool made to make your cutting jobs easy. The power behind a saw provides almost everything you need to guide and control your cut, with very little effort on your part other than keeping it steady and providing enough pressure for the chain to its job. 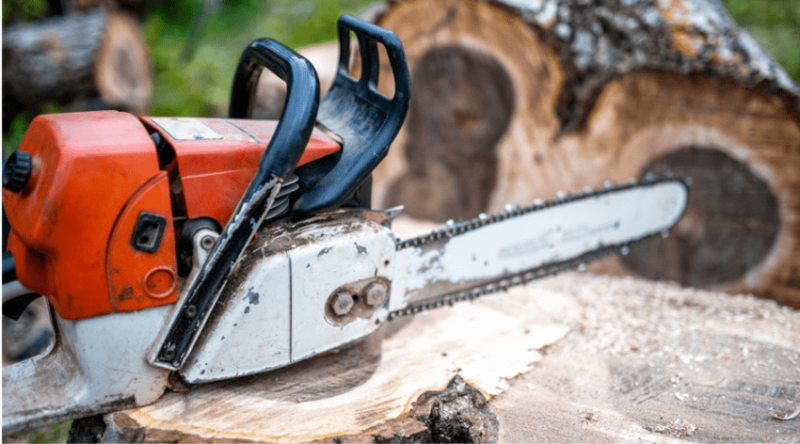 But when you feel as if your cuts are taking much longer than they should, or you find yourself exerting much more force behind the chain than what you consider normal, you may want to look into why your chainsaw is not cutting in the manner it is designed to. This is obviously also true if your chainsaw starts up normally but then fails to engage the chain. 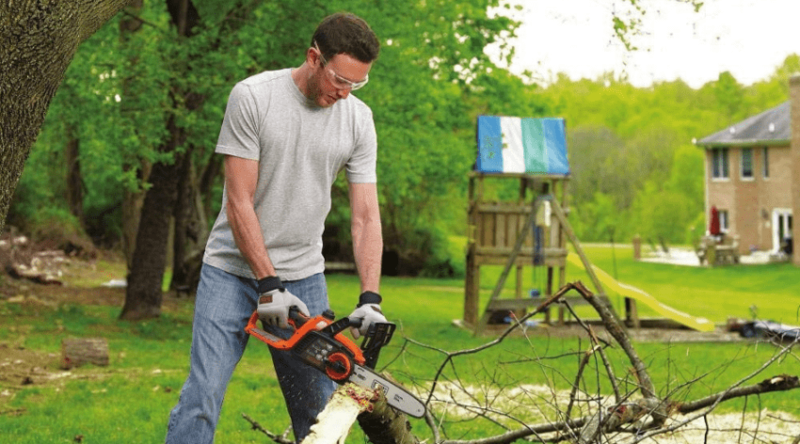 Anytime you work with your chainsaw you should always use preventative measure against injury. Even when turned off your chain has a formidable edge that can nick, snag, or cut your skin and clothing if care is not taken. 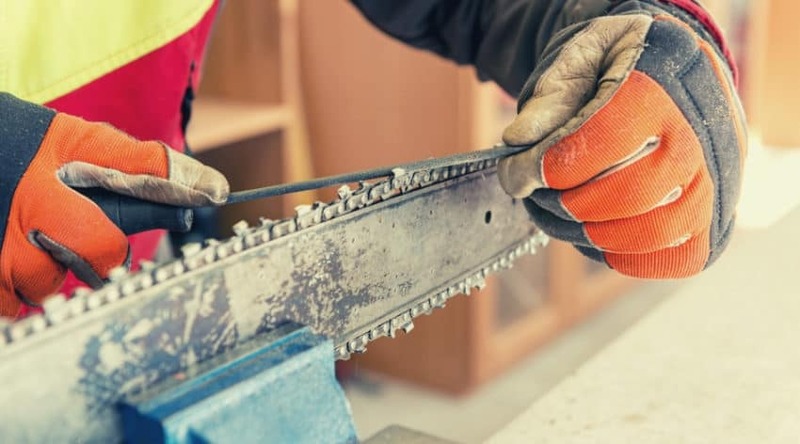 No matter whether the chain is failing to spin, or failing to work properly, you will be handling and taking apart part of your saw to get at the problem. Be sure to have protective gloves, as well the materials needed to sharpen or replace your chain, and the tools to remove the cover and adjust tension. 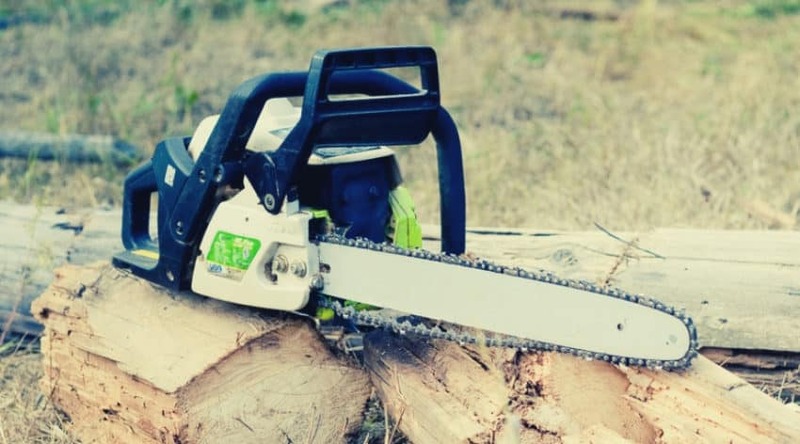 Luckily, narrowing down problems with chainsaws are fairly easy as 2-cycle engines are simple designs and the overall construction of most saws are built for easy access. Before I delve too deep into solutions to this problem, I want to point out that an electric chainsaw is much more basic than a gas powered saw. This makes them extremely convenient to use and maintain, and fixing them when they fail to work correctly is generally a very quick job. There is a reason for this, however, because this unfortunately also means when certain issues arise – you won’t be able to work on them. Since an electric engine is powered from an electrical source, whether battery or outlet, it is often more economical for you to replace the entire product rather than pay to have somebody try to fix the engine if you narrow down the problem to be localized internally. But before you resign yourself to a new purchase, when a chainsaw stops cutting in these products, there are a few things you can do. First, make sure your chainsaw is getting enough power. your chain is not turning, or not turning quickly enough, then be sure your extension cord is rated for the correct ampacity or that your batteries are fully charged. Many rechargeable batteries have a specific life on them before they stop holding a good charge. If your chain is spinning, but not cutting, or the chainsaw is not cutting straight, then you need to address the chain itself- as I will explain in more detail below. Gas-powered saws are powered by variable 2-cycle engine sizes, and luckily are easy to work with. 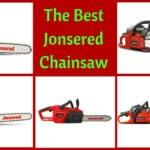 But before you go taking apart your saw, you will want to first pinpoint exactly what the problem might be. As with an electric chainsaw, first, make sure it is receiving enough power. If the saw is sputtering, dying, or simply doesn’t feel as if there is the power behind the chain, you may want to check your fuel to ensure it is fresh and a correct mixture, and that the fuel filter is not clogged. Once you are certain of this, you can begin to truly problem solve. A dull chain is characterized by a fine sawdust that falls as you cut rather than small wood chips. You also may find it difficult to keep your saw cutting evenly, or also notice you make very little headway in your cut. This is actually the number one reason why you may be having issues with cutting effectively. A chain should be sharpened after every fuel fills up, or even more frequently if you feel it is needed. The cutting teeth are easy enough to sharpen, and with a little practice can be done fairly quickly and efficiently. If you have always been diligent in your maintenance, then you probably also want to check your depth gauge as well. These are the ‘shark fin’ like teeth found on the chain, and determine how deep a cut your chain makes. 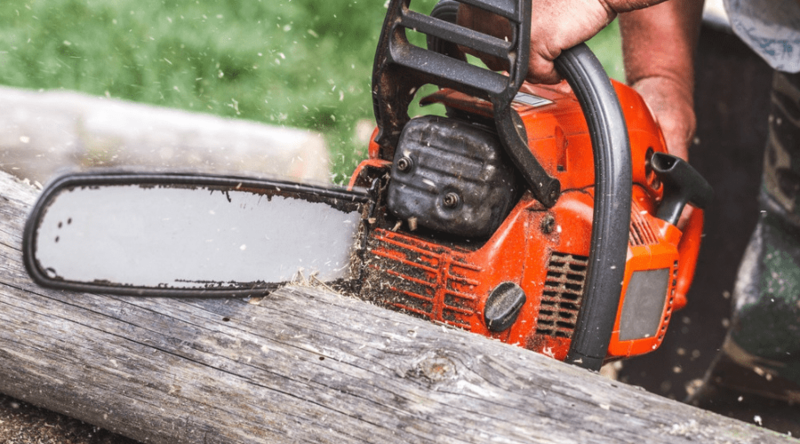 These need occasional adjustments, but over time will eventually wear too much – marking the end of the chainsaw life and the need for a replacement. At rest, you should be able to lift the chain 1/8th to 1/4th of an inch above the guide bar, and it should settle back into the bar grooves on its own. If the tension is too tight, it can hinder the movement of the chain, bind it up, or even cause it to break. Consequently, if the chain is too loose, and hangs off the bar, it may not be making good contact with the cutting surface. Both these scenarios can be dangerous to the operator, but luckily it is an easy fix. If you find you cannot tighten your chain enough, it has stretched and worn past its usefulness and should be replaced. Like everything else, over time the use of the machine will wear on various parts and the guide bar is no exception. The constant rotation of the chain within the groove may eventually wear it down, causing your chain to sit improperly, or refuse to tighten. A bent guide bar can also occur due to improper storage, or simply heavy use. This can hinder the movement of the chain as it cuts, cause it to stop spinning, bind up, or even come loose from the bar. If you remove the clutch cover while the chain brake is engaged, it can become difficult to replace the cover, or if you do, disengage the brake afterward. This can make it seem as if the brake is stuck, so always be sure to keep your brake disengaged when removing the covers or you will have to reset it. If your chain brake is truly not working as it should, and still holds the blade when in the off position, you can easily replace it. This is also true if it refuses to hold the chain when engaged. You might want to first give it a thorough cleaning as well to see if dirt, oil, and grime may be the culprit. Your clutch is what engages the chain, and if the clutch pads are worn out, or not disengaging correctly, it can cause issues with how your chain spins. If the clutch is broken, or the springs are not tensioned properly, your chain may not spin at all. Accessing the clutch is easy, and once you remove the clutch cover you may easily see what you need to address. The replacement of the clutch is just as simple as removing it. Most likely if your chain is spinning, but simply isn’t cutting, your fix is as quick as it takes to sharpen or replace the chain. This is especially true if you are dealing with an electric saw since there is not much more you can do other than check your power and tension after you rule out the chain. But if the chain failing to engage altogether you may have to troubleshoot just a bit further to determine what, exactly, is the culprit. Luckily, taking apart a gas-powered saw is fairly easy, and replacing the parts that may be causing the issue is equally so. If you have any questions or comments, we’d love the chance to address them below, and, as always, please share!